To bring transparency to the health care marketplace. The health-care market in the United States is opaque. People don’t typically know what procedures and items will cost before they take place. Does everyone charge $400 for an MRI, or is it $6,000? Does one insurance company pay out more for a mammogram than another, and why? My doctor charges one price, the insurance company reimburses another – but how much am I actually paying? Increasingly, people who are uninsured or on high-deductible plans — instead of the standard $20 PPO co-pay — are asked to pay higher co-pays, higher co-insurance. They may be completely out of network. People want to know prices. Also, if my insurance company is paying $2,300 for an MRI and they could get it for $400, or $600, is that one reason my premiums are going up? Of course price is not the only consideration, but it’s a big one. In any other marketplace – buying a car, hiring a plumber, buying a tomato – price enters into the equation before you commit to a purchase. In a market where prices are hard to find, consumers can’t make rational decisions. This site should in no way be construed as offering medical advice. Our stated mission is to bring transparency to the health-care marketplace. Your decisions about treatment, providers and anything else belong strictly to you. Armed with price information, consumers will be able to use cost (as well as other factors) to choose a doctor, choose a hospital, budget for a medical expenditure, or argue with the insurance company. An informed consumer can make better, more thoughtful choices about insurance: High premium or low? High deductible or low? PPO or no? We are bringing you as much price information as we can. Our price survey information, from a rigorous data collection process conducted by our journalists. Actionable, newsy reporting about prices in the health-care marketplace. A collection of curated Web resources on this topic, including batch data and helpful sites. 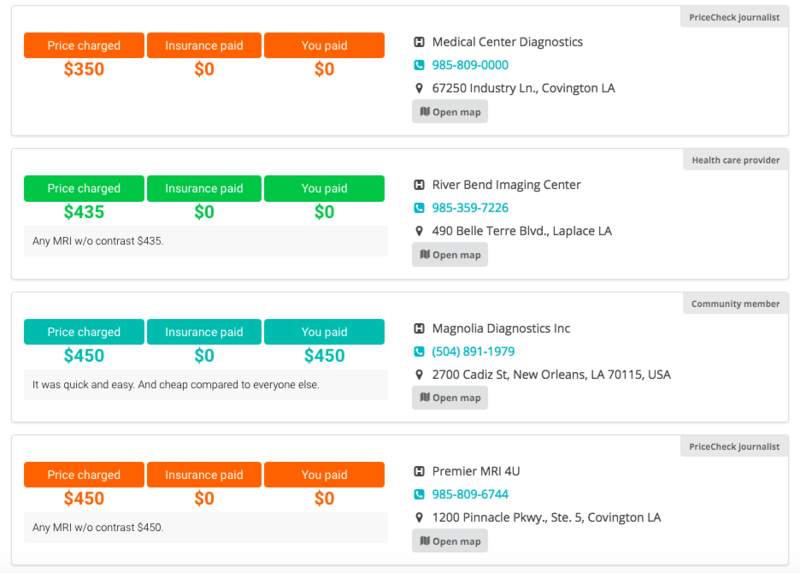 Your price information: crowdsourced, anonymously supplied, specific information about medical costs. A blog and other forms of explanation, including articles by, and interviews with, people who can give us answers, and also links to newsy items. What makes you think you can fix this by yourselves? All of us is smarter than one of us. By sharing information, we can illuminate some of these dark corners, and we will all be better off. You received a crazy bill? Tell us about it. Your claim was denied? Tell us about it. That person on the phone at the insurance company? Something similar probably just happened to him, and we want to hear from him, too. You won an argument with the insurance company? Tell us. Other markets have been changed by transparency and technology. Think of real estate sales, airline ticket prices and car sales. All these markets were characterized by information asymmetry. All have changed with transparency. When you say “we,” what does that mean? Here’s our team page, and here’s our board of advisors page. Here’s our blog. We won a series of grants to launch ClearHealthCosts from the Tow-Knight Foundation at the CUNY Graduate School of Journalism (Jeff Jarvis of “What Would Google Do?” and “Public Parts,” was my lead professor for the first grant); the International Womens Media Foundation, where Liza Gross (then the executive director) and her team are among our biggest supporters; and the McCormick Foundation’s New Media Women Entrepreneurs Program via J-Lab: The Institute for Interactive Journalism, where Jan Schaffer and her team have opened doors for us because they believe so strongly in what we’re doing. We are privileged to have a small group of devoted angel investors. We are honored to work with a group of dedicated, highly professional partners. Wait, what’s this about partners? We have recently been fortunate to join hands with big media partners to report on health pricing, separate from our home site. The sources of our data: Our shoe-leather reporting; data journalism; and crowdsourcing — asking our community members to share their pricing information via our interactive software, so we gain a 360-degree view of health pricing. Our PriceCheck pilot project with WNYC public radio in New York in 2013 led to a prototype partnership that placed our interactive widget on the web sites of two more public media partners, KQED public radio in San Francisco and KPCC/Southern California public radio in Los Angeles. This prototype partnership was funded by the John S. and James L. Knight Foundation, which supports innovations in journalism. We then launched a partnership with WHYY public radio in Philadelphia, joining hands with their journalists to crowdsource and report on health care prices in the Delaware Valley. Our Florida radio partners are WLRN public radio in Miami, WUSF public radio in Tampa-St. Petersburg, and the partnership they share titled Health News Florida. This page on our home site has a listing of all the New Orleans coverage. We have a similar partnership with MedPage Today, a supplier of news, opinion and medical education for 670,000 providers nationwide. Thousands of people have shared and searched prices via these partnerships. We were recently featured in NiemanLab, on the watchdog site Health News Review and on MediaShift. Great! What do you need from me? Share your price information here in our share form. Send us suggestions. Comment on our stories. Tweet us, blog us, retweet us. Send us your horror stories, your tales of triumph and derring-do from the medical world. Tell us what you think about what we’re doing. Tell your friends to come on over. Give us an idea of what we can do to make it better. Twitter: @chcosts. Email: info@clearhealthcosts.com. Facebook: Here’s our clearhealthcosts page. Here’s our “share your prices” form. Read our blog, and feel free to comment. Here’s our e-mail address: info@clearhealthcosts.com. Write often. Why would I share this personal information with a stranger, and the Internet? We want you to contribute your information anonymously and honestly. Together, we can bring badly needed transparency to the health-care marketplace. Because we all contribute our information, the pool of knowledge becomes larger. If you’d like to include your email address and phone, or send a scan of your explanation of benefits or bill, that will help us use your experiences to make great journalism. The health care information you provide to us will be used only anonymously, and will never be paired publicly with your email address. ClearHealthCosts.com and our PriceCheck partners will preserve your privacy as part of our bond with you, our communities. The pricing, procedure and location information you provide to us will be shared publicly in the “Find Prices” table on this site and on our PriceCheck partners’ sites to help you and others compare costs. Your comments may also be posted wherever the table is posted. Except for your email address, the information we collect, including your comments, may also serve as the basis for articles and reports about health costs. If you wish to provide information or share comments that you do not want made public on this forum, email us at info@clearhealthcosts.com. We or our PriceCheck partners may use your email address to contact you directly to request more information about the data you have submitted, but we and they will not share your email address with any other third parties. ClearhHealthCosts founder Jeanne Pinder won a $20,000 award in December 2010 from the fabulous folks at the Tow-Knight Center for Entrepreneurial Journalism at the CUNY Graduate School of Journalism in New York to help launch the project. She also won a second $20,000 grant from the Ford Foundation via the International Women’s Media Foundation for the project in spring 2011. In March 2012, ClearHealthCosts was chosen one of four winners in the McCormick Foundation New Media Women Entrepreneurs project, an initiative of J-Lab: The Institute for Interactive Journalism. In spring 2014, the Prototype Fund of the John S. and James L. Knight Foundation granted $35,000 to ClearHealthCosts and its partners, KQED public radio in San Francisco and KPCC/Southern California Public Radio in Los Angeles, to launch PriceCheck, a project creating a reported and crowdsourced database of health prices in California. In February 2015, WHYY public radio launched a PriceCheck project in partnership with clearhealthcosts.com, with funding from the Robert Wood Johnson Foundation. In 2016, the PriceCheck partnership launched at WLRN public radio in Miami and WUSF public radio in Tampa-St. Petersburg, and their partnership, Health News Florida. In 2017, the partnership launched in New Orleans, with NOLA.com I The Times-Picayune and WVUE FOX 8 Live television. What is your editorial bias? We are a voice for, and a source for, the informed consumer. People who know more about the costs of their medical care will be better consumers. We also think that sunlight improves just about everything, so we hope to shine sunlight in any number of dark corners. Do you have sponsors, and if so, what influence do they have on your editorial decisions? Other than the grant money noted above, we have a tiny bit of investment money. Our income: our partners pay us to share information with them and help them make great journalism. We also create custom content for a few partners. We are committed to making editorial decisions in the spirit of full transparency, independent of any money that changes hands. Wait: you’re a for-profit? What’s up with that? We’ve been asked several times recently why we’re a for-profit and not a nonprofit. Here’s why: We are a for-profit because we were founded out of the entrepreneurial journalism class at the City University of New York Graduate School of Journalism in New York City, run by Jeff Jarvis and Jeremy Caplan, which has grown into the Tow-Knight Center for Entrepreneurial Journalism at the CUNY J-School. One of the missions of that class (now a full master’s degree and a certificate program) is to develop sustainable business models for journalism. Jarvis would not let any of us be nonprofits: he said that’s not a business model. So, we are a journalism for-profit, as are The New York Times, Gannett and many other news organizations. Frankly, as we look at the changing journalism landscape, it seems that big nonprofits like ProPublica, The Texas Tribune and The Marshall Project are more flush than the for-profits like The New York Times and Gannett, which are still supporting legacy structures like pensions and printing presses. Also, on the nonprofit for-profit distinction: in the health care marketplace, the distinction is hard to parse. Nonprofit hospitals can be every bit as saintly or as greedy as for-profits; nonprofits do not pay taxes, but that doesn’t mean that they’re not looking for a strong business model, examining their books to maximize revenue, and sometimes engaging in questionable business practices. It can be a topsy-turvy world. Look, for example, at this story that came through our PriceCheck reporting: For-profit Anthem Blue Cross is criticizing nonprofit Stanford Health for charging so much for health care, citing PriceCheck as a responsible third-party source of neutral information. That’s what we want to be as journalists: responsible sources. For-profit or nonprofit is an organizational choice, not a religion. Furthermore, our for-profit status excludes us from certain opportunities — a whole series of grants, for example. This status, then, leaves us with the opportunity to pay taxes if we ever make money, to help carry the tax burden of nonprofit journalists, yet we cannot raise foundation money from the same sources that will keep them healthy. We want to be very clear here: We don’t oppose nonprofits, but we don’t think that nonprofit status confers automatic sainthood or intrinsic value. Also, if given an even-up choice right now, it’s possible that the big for-profits –- The New York Times, The Washington Post, Gannett -– would choose a nonprofit model to escape the tax burden and also avail themselves of foundation money. Also, within the for-profit world: Is The New York Times the same kind of for-profit that Bloomberg News is? Conversely, nonprofits: is Inside Climate News or MinnPost the same kind of nonprofit that The Texas Tribune is? You allow anonymous survey contributions, but you want people to give their names when commenting on the site. Why? People supplying us information that might affect their health-care coverage should be allowed to contribute anonymously. When it comes to comments, we like it when people give their full names, because we — like the editors of The New York Times, where we spent many a happy day –- think it promotes civil discourse. We hope to have a free and energetic discussion. In that context, we have borrowed the comments policy of The Times, which you can find here and here. That said, anonymity can be important in this arena, and if you need to be anonymous, we will understand -– though we expect civility from everyone. So this is crowdsourced information — why should I believe any of it? Some of our data is reported by our journalists. Some comes from government databases (the Medicare pricing). Some is crowdsourced. We trust our communities and believe in you. We believe your information will add to the reported information we already have, and we will be comparing the data about costs of items and procedures. Here’s a blog post that we did collecting a number of confusing ways that the forms represent or obscure information. What data do I supply? My wife had a colonoscopy. There were bills from the gastroenterologist, the facility, the anesthesiologist and the lab. Please add all of these together as the “total cost” of the procedure. We are most interested in the “all-in” price, just as you probably are. When we collect the colonoscopy costs in our database, we try in every case to get that “all-in” price, for a cash or self-pay patient, though it’s not always available in advance. Sometimes the individual charges you experience are also remarkable ($1,500 for anesthesia? $2,700 for a facility fee? come on!) so if the notes capture that, it’s awesome. 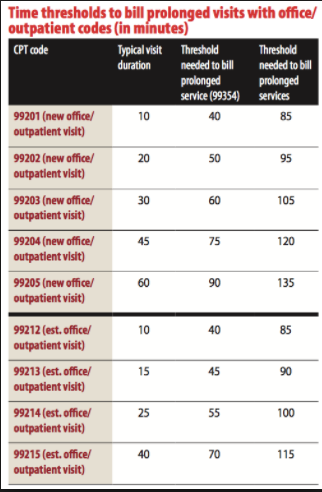 Beyond that, know that the medical codes vary in complexity according to how long the visit or procedure was, how complex it was, was this a new or returning patient and so on — for even the simplest things, like an office visit. Here’s a chart hinting at the complexities. So a more complicated procedure like a colonoscopy might have more variables — how long was it, were there any complications, was there one biopsy or several? The short answer: pick a code that’s closest to what you had. So we made a “share” form that has only 7,800 options. Please choose the closest one. Certain healthcare providers or facilities may not appear — or not appear accurately — in Google’s business listings. If you are a provider with questions, please contact Google to update your listing. Tip: Google listings are inconsistent. When you search, the provider name may need to start with a prefix such as “Dr.” in order to appear in the dropdown, or it may not. I have something I’d like to send in but the form won’t take it. Here’s how we’d like to see it. If you have lots of prices to share, you can download this sample spreadsheet. This spreadsheet is in XLS format. Please complete all the fields and email it back to us at info@clearhealthcosts.com. If you would feel comfortable in sharing via email, here are the data points: If you return this to us, we’ll put it in for you! If you have other questions, email us at info@clearhealthcosts.com. Everybody’s got a favorite source (Yelp? healthgrades.com? AHRQ? Leapfrog? Consumer Reports? U.S. News and World Report? HEDIS? HCAHPS? Your insurance company’s quality rankings? Your Facebook friends?) but the bottom line seems to be this: There’s a cacophony of competing sources of measurement, none of them definitive or over-arching. So we were interested to see this recent study revealing the outcome of a recent government effort to resolve the problem, as described by Alexandra Robbins in The Atlantic. The Department of Health and Human Services is wrestling with this, and to hear Robbins tell it, they labored mightily and brought forth a mouse. If you have a favorite supplier of quality metrics, please tell us — and tell us why they are better than others. Price without quality is incomplete. In our view, bringing price out of the shadows speeds a thoughtful quality discussion: What makes that $6,000 MRI so much better than the $300 one? Why would anyone care about a cash or self-pay price? That’s only for uninsured people, right? In reporting on this issue, we journalists from ClearHealthCosts have already partnered with public radio stations in San Francisco, Los Angeles, Philadelphia, Miami, Tampa-St. Petersburg and New York City to build community-created databases of prices, and to do in-depth reporting on this issue. Click the links for examples. Also, here’s some of the coverage of the California partnership, including links to our Harvard Business Review/New England Journal of Medicine coverage, and our JAMA Internal Medicine coverage, as well as NPR and other coverage. Here’s the Philadelphia project page. We have collected cash or self-pay prices at ClearHealthCosts via a direct provider survey for several years. You can access them via the search box at the top of the front page. That search tool also gives you the Medicare reimbursement rate for any one of the 7,800 procedures in the government’s Medicare reimbursement data set, in any U.S. locale. If they know there is a range from $300 to $6,00 for an MRI, that is quite useful. These price disparities extend to other procedures as well. Why can’t you include deductible and co-insurance information? Insurers and providers have not supplied information on deductibles and co-insurance (though sometimes they have the ability to do that on their own websites). So we are working on a community-created database. While having a perfect set of information is the goal, it is not attainable right now. Having some information is better than having no information. We are working not to let the perfect be the enemy of the good. Why can’t you include the contract or negotiated rate — what is paid by an insurer to a hospital or doctor or clinic for a service? Those payment rates are not public. In many cases, they are hidden because of gag clauses in contracts between insurers and providers; in other cases, they’re regarded as trade secrets. In any case, they’re not available to us. There are other transparency tools. How does yours differ? We are excited about all transparency efforts. We have some reservations about others’ methods. First, some sites uses often-cited Medicare classifications. They include “Digestive system problems” or “fainting and collapsing,” and other broad categories that are not things that people often search for. Other classifications are less general (“weight loss surgery” or “hip, knee or ankle replacement” but are still quite broad. About our data: we give specific procedures, using the Current Procedural Terminology (CPT) and Healthcare Common Procedure Coding System (HCPCS) systems, which govern health care billing. For example: MRI of the lower back without dye or contrast, CPT code 72148. Similarly, Echocardiogram with doppler or sleep study (along with CPT code) and so on, making it easy to confirm that these are apples-to-apples price comparisons. Second, the “average prices” approach is not one we favor. Some sites say their “fair” or “average” price will help people guard against high bills, but can you really go to a provider and ask for an “average” price? We favor the approach of listing specific prices from specific providers, believing that gives individuals the best actionable information. Thus, we give cash or self-pay rates as quoted to us by providers, augmented by individuals’ shared experiences and data reporting. We do not guarantee these prices will actually be what is charged — we urge people to confirm, calling ahead and taking the name of people who supply prices. We think that this approach of showing a range of prices at area providers gives a more actionable data set for real people making real decisions. Third, some tools presents only hospital prices, not prices from non-hospital sources. So, for example, if an individual was seeking an MRI or an IUD, this would be of relatively little use. IUDs are not supplied by hospitals, and MRI prices are typically much higher at hospitals than they are at self-standing radiology centers. In our data set, we are not limited to hospitals, but also take in other providers, knowing that people get medical care at a range of places. Fourth, in every case, we suggest that someone assessing transparency tools seek to understand clearly what the source of the information is, and who’s making money off of it, and how. For example, a “transparency” site that is connecting patients to specific providers is, in all likelihood, taking a commission for making that connection. Does that mean the data can be affected by the desire to steer the patient to a specific provider or providers? Well, yes. Tell me again where your data comes from. Some prices we collect by provider interviews as part of this survey, and some from price lists posted publicly, some from individuals and some are sent to us directly by from providers. I like your data. Can I use it?